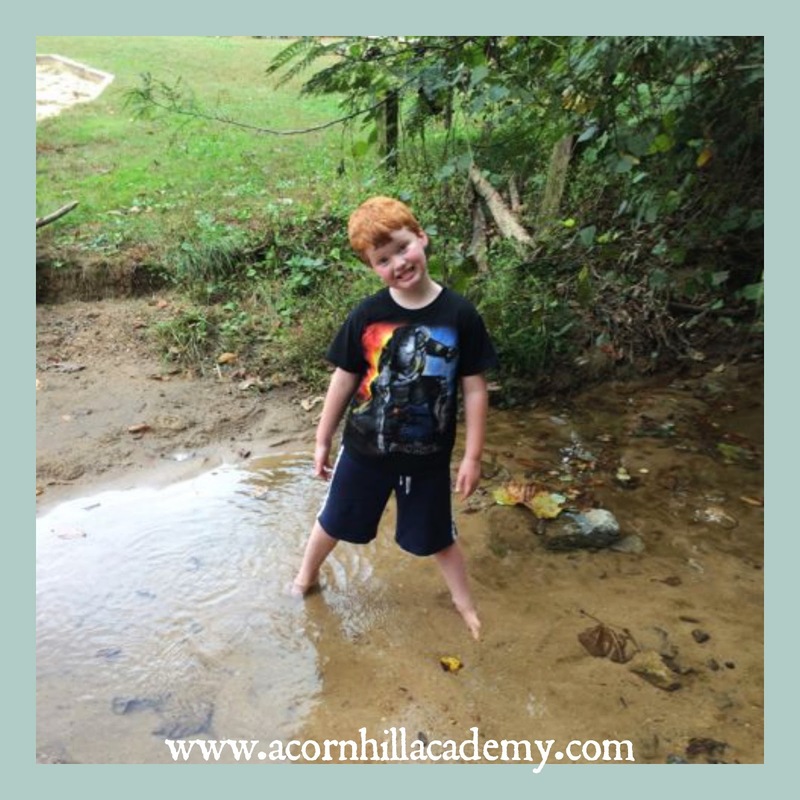 Acorn Hill Academy: Let's Go Outside! 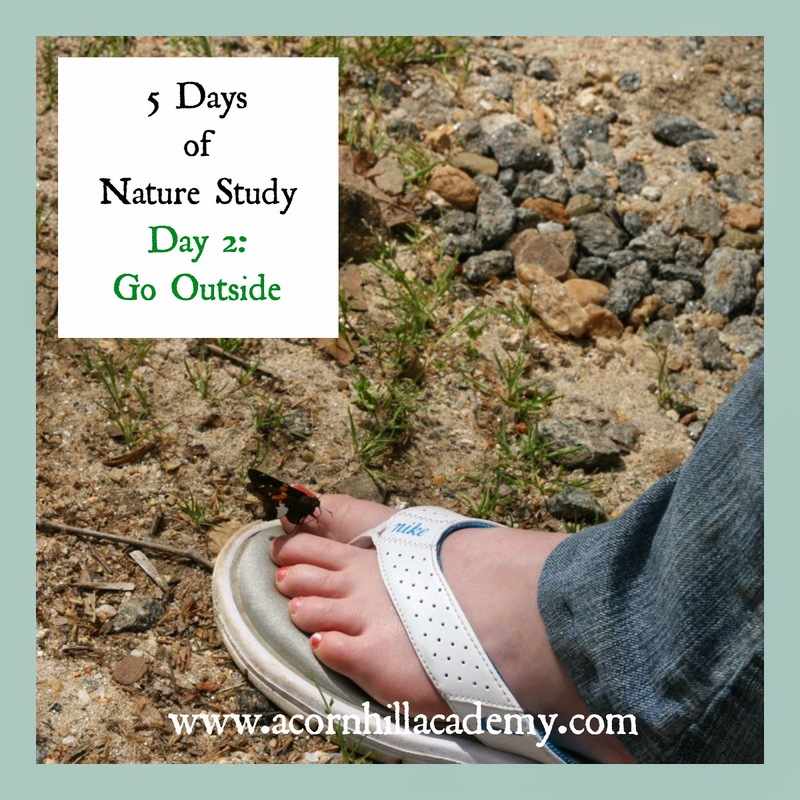 Now that you're excited with me about nature study, what comes next? 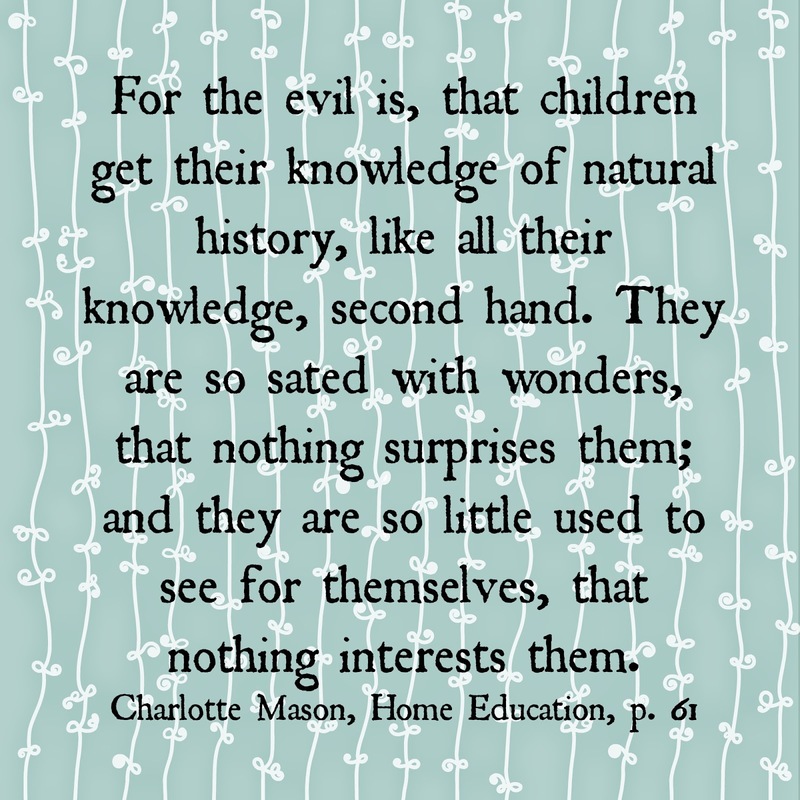 You and your children need to experience the wonder and beauty of nature. There's nothing like seeing first-hand how ants behave by watching an anthill, or what kinds of flowers butterflies like, and what's blooming each season. Now, we don't live an a rural area. Our neighborhood consists of manicured lawns, and at first glance it doesn't look like there would be much going on here for nature study. We have found some great stuff, though! We have a couple of small dogwood trees in our yard, and they're starting to come on. There are all kinds of flowers that come up in our lawn around this time of year. We've learned to identify henbit deadnettle, common speedwell, chickweed, violas, and cranesbill just from looking in the grass. We have a butterfly bush, and have seen swallowtails, black swallowtails, painted ladies, and monarchs, along with some smaller ones I haven't identified yet. We have bird feeders, and off the top of my head we've seen downy, hairy and red-bellied woodpeckers; goldfinches; cardinals; cedar waxwings; chickadees, blue jays; Carolina wrens; house finches and ruby-throated hummingbirds. 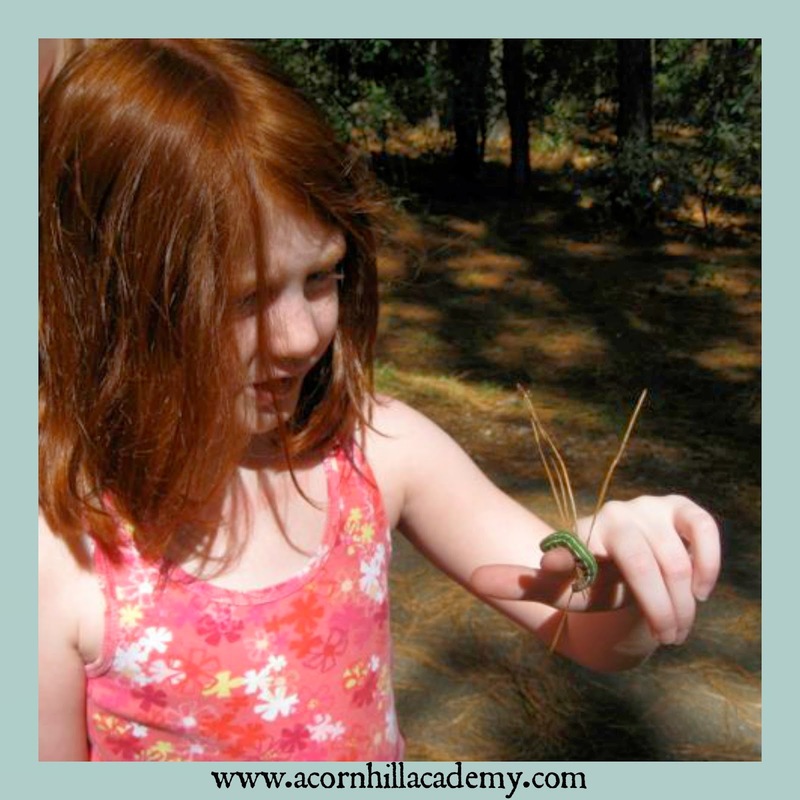 We found a praying mantis by our front porch, and she became a beloved pet. We have three different kinds of oak trees alone in the little stand of trees between our house and the neighbor's. We like to explore other places, too. There is a nice park here with a little stream, and my kids enjoy splashing in it. I like to go there because different plants grow by the water than we find in our yard, and some different trees, too. There is another park on a little mountain (well, they call it a mountain) with some hiking trails, and we see different plants there, too. They also have a list they publish of the birds we might see there, so we like to keep an eye out. Our extended family lives in Michigan, and there is a whole different world of nature study up there, too. Once you're outside, just start looking around. Do you have trees in your yard, or nearby? Adopt them as "year-long friends," as Charlotte Mason said. Do they have flowers in the spring? When do their leaves start to come out? What does their bark look like? Do they make fruit or seeds that animals like? Can you see any nests in them? You might be wondering how to go about identifying things once you've found them. Be sure to check back tomorrow to hear about some tools we like! One of my favorite things about not having a suburban "Scotts" lawn in all the wild flowers that pop up. I picked up a Wildflower guide at our state's conservation office to start identifying them. We live in a bigger town...a small city really. It takes more of an effort to go looking for nature, but I have found that it is so rewarding to make that effort to visit the nature center, botanical gardens or even a friend's backyard. We also go see grandparents on the weekend. I love that my son gets to stomp around on their farm.